How can I average downloaded data? SiteView has a powerful tool to convert the original data to any form of engineering value. This tool is called Custom Equation. 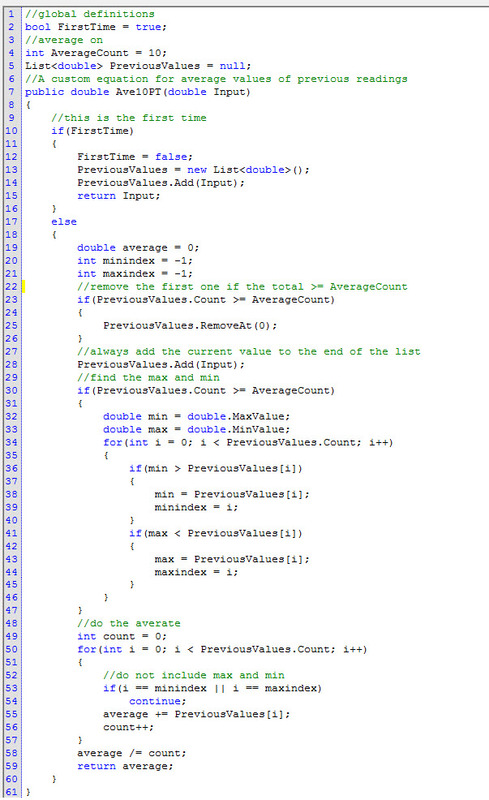 It allows user to write their own equation in c# programming language. Here is an Custom Equation used to average the previous 10 data points and remove the maximum and minimum values. What is a custom equation and when can it be used? How can I convert the original readings to preferred engineering values? What Equation Should I use for a RTD Data Logger?